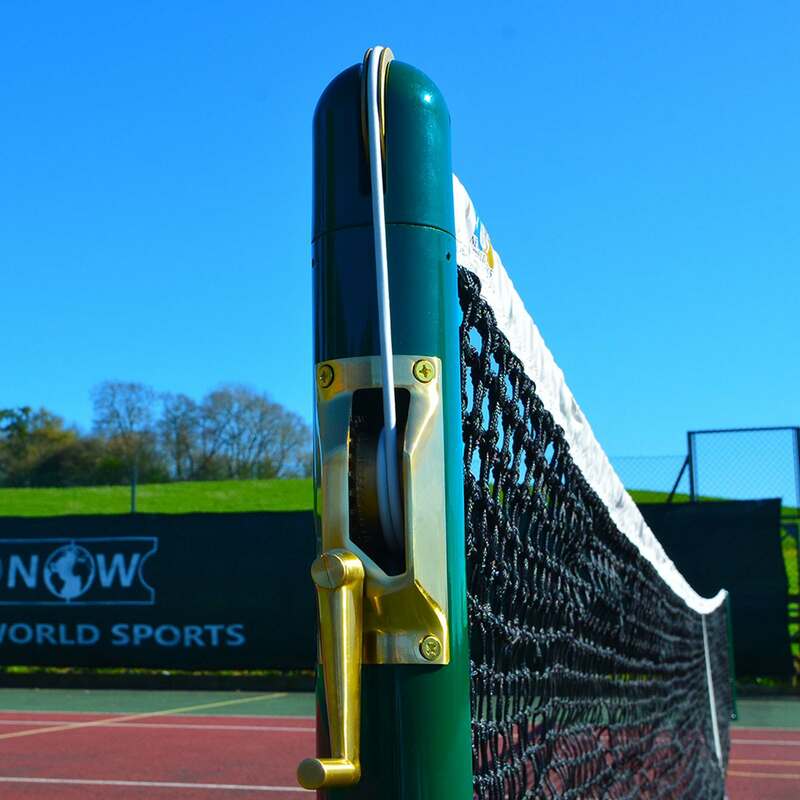 Arguably our pièce de résistance; Everything you need for a professional court set-up lies here; pick your choice of net, posts, sockets, center strap & fixing point. This Vermont Tennis Posts & Net Custom Package provides you with everything you need to create a world-class tennis court. Every component on offer has been manufactured using the highest quality materials possible to ensure whichever accessories you select, you will be guaranteed a professional performance with excellent longevity. Unique to any other package on the market, this Vermont bundle is in a league of its own in terms of product quality, value and delivery service. This custom package allows you to choose between round or square tennis posts which will give you a world-class foundation for your professional-looking tennis court. Both styles are engineered using 76mm ultra heavy-duty steel, giving them supreme strength and durability. Their Wimbledon Green powder coating gives the posts additional resistance toward rust and corrosion, meaning these posts can be left outside all year round. Each set of posts comes with a brass winder mechanism included. Next up are the tennis nets and the outstanding quality certainly doesn’t waver. 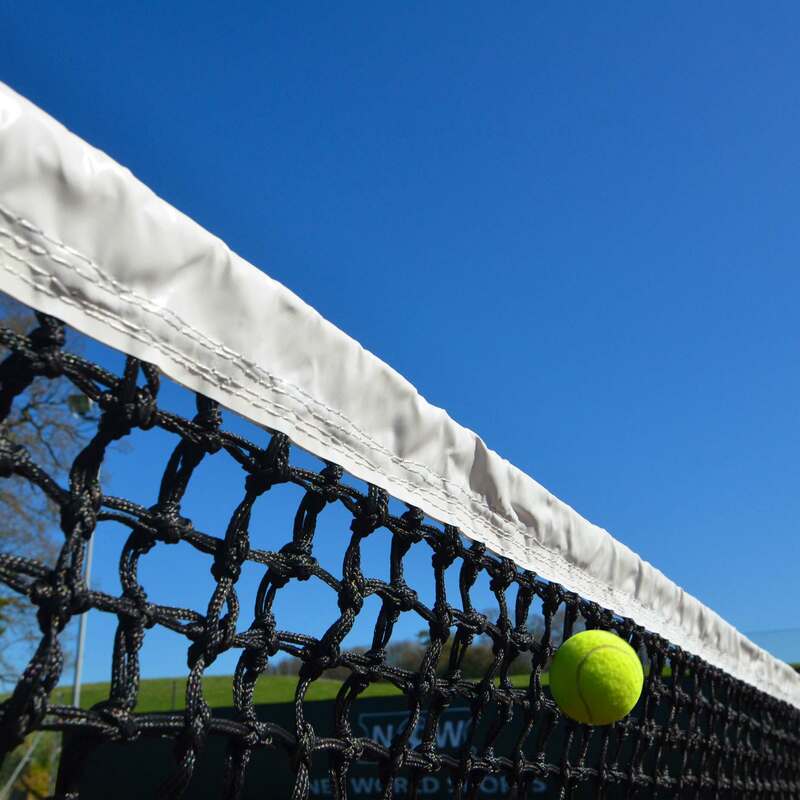 With an impressive Vermont selection ranging from 2mm to 3.5mm Double Top HDPE twine on offer, you’ll be adding a Grand Slam tennis net to your court. Each net has been created using UV stabilized twine and features an optic white, quad-stitched vinyl-coated PVC headband which will display exceptional resistant towards regular use and adverse weather. We have tennis nets for singles (33ft) and doubles (42ft) courts so you can be sure to find the perfect tennis net for you. Wimbledon Headband: Our 3.5mm Double Top Championship Tennis Net (42ft) comes with the option of adding a world-class, quad-stitched polyester canvas Wimbledon Headband. The optic white construction complies to all ITF match regulations and possesses supreme durability. With a center strap included with every package, it’s crucially important that you have the correct fixing point for your tennis court, which is why we have a variety of high-quality options on offer. Our ground socket option is ideal for tennis courts with a permanent fixing point whilst the cast iron base weight offers center straps excellent stability above the ground. 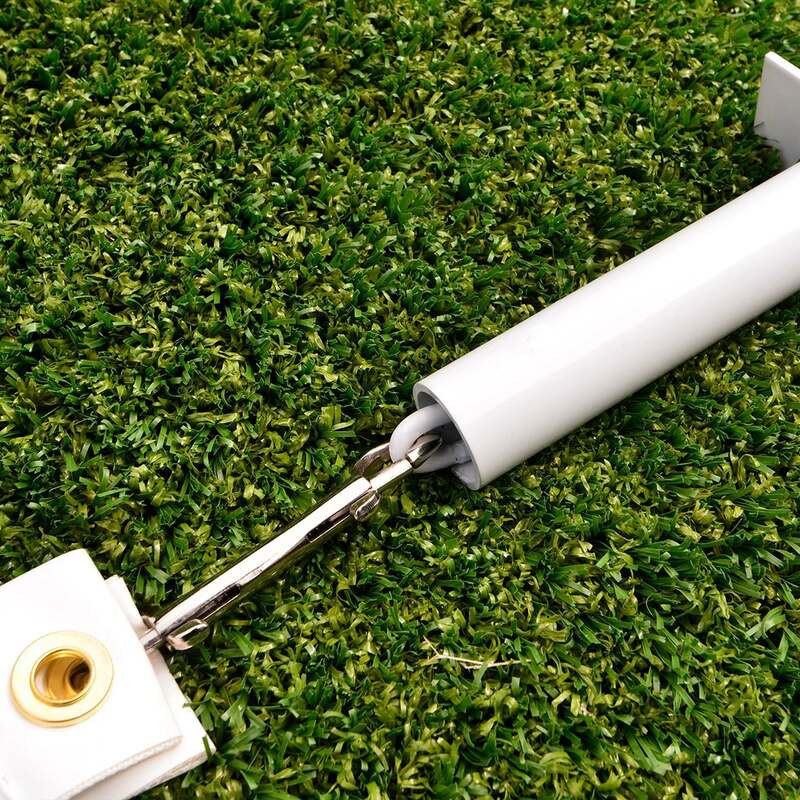 You can also choose an M-Peg ground fixing which is ideal for grass tennis courts. Hi, Do this conform to ITF Specification? Hello, thank you very much for the enquiry. Yes, this product conforms to ITF specification. Hi Michael, thank you very much for the question. Yes, ground sockets are included in the price of this package. Hello, thank you very much for the enquiry. Our tennis posts are made to a 76mm(3 inch) size. This is regardless of them being round or square!